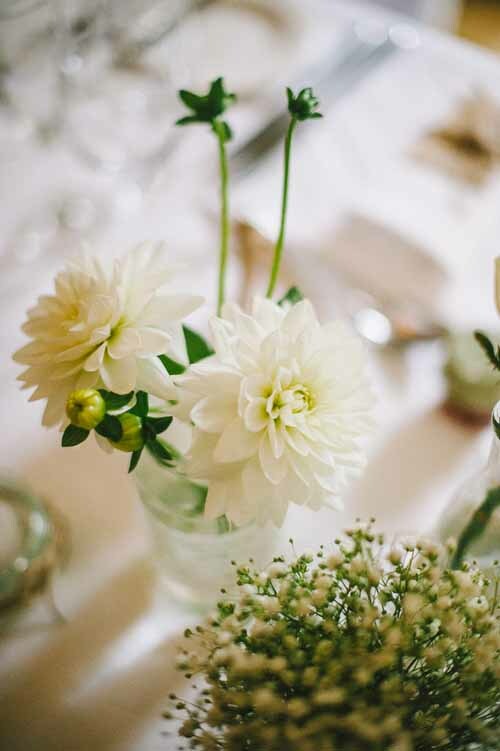 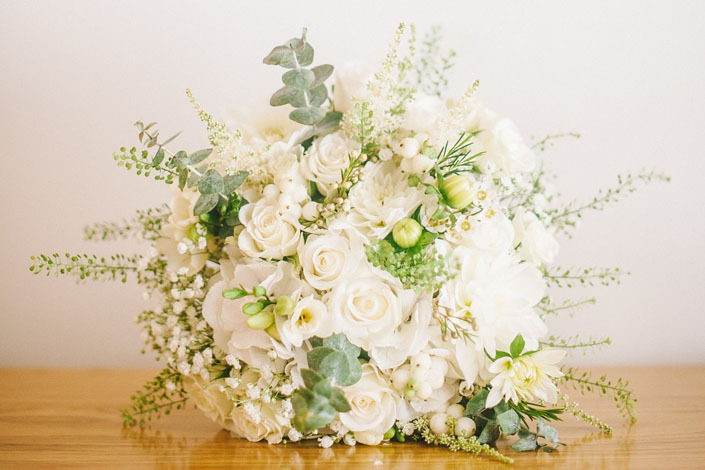 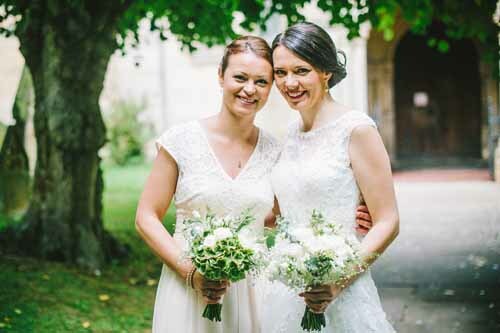 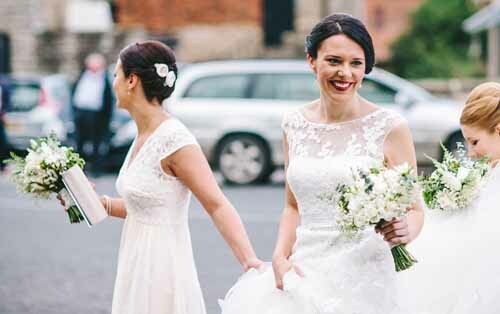 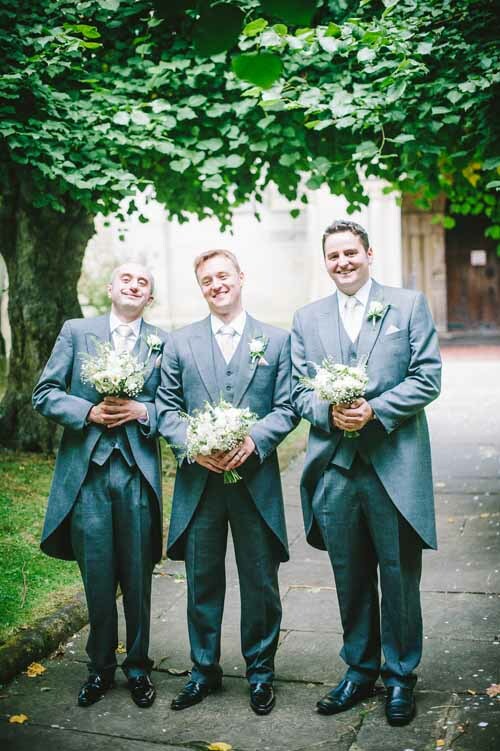 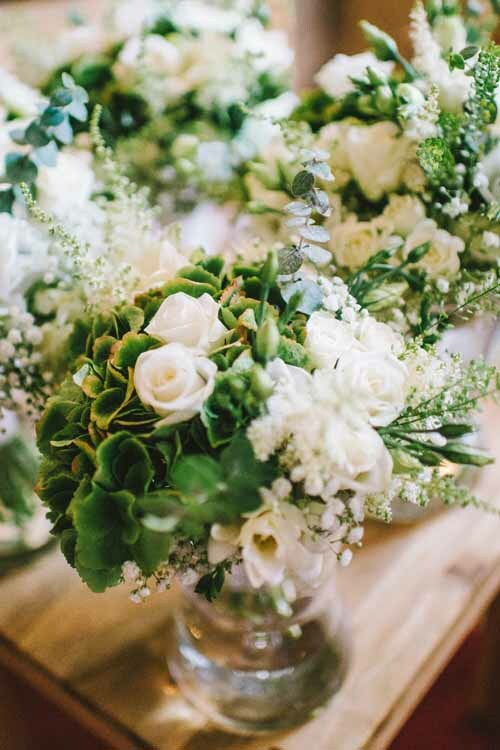 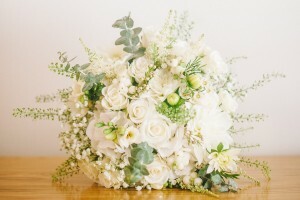 The Black Swan Hotel in the picturesque market town of Helmsley, North Yorkshire was the setting for Natalie & James’ beautiful classic White & Green themed Wedding, and the very talented Joe Dodsworth Photography was on hand to capture the stunning images. 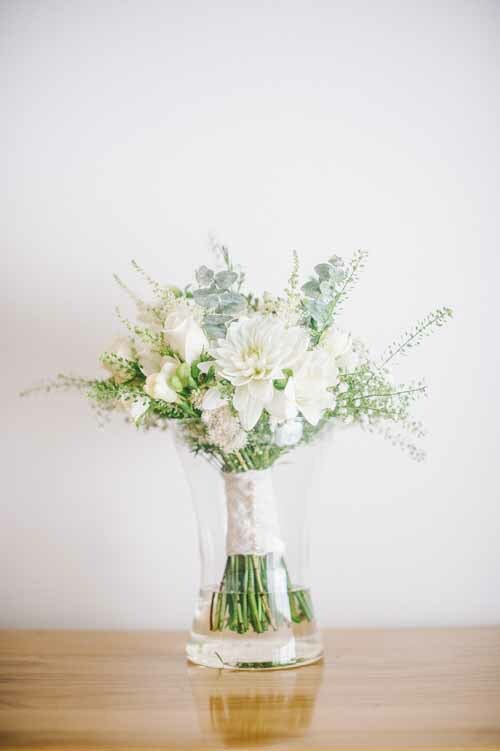 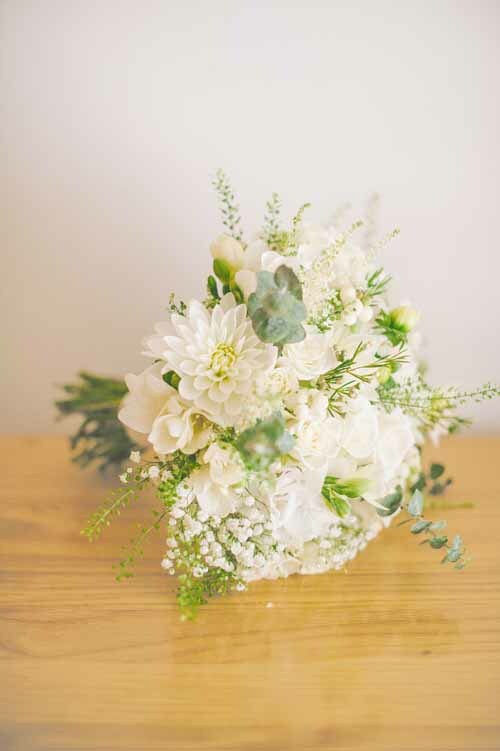 We created the Wedding Flowers from a mix of Roses, Dahlias, Hydrangeas, Snowberries & Astilbe to create the classic theme that Natalie had requested, and wrapped the bouquets in lace & pearls. 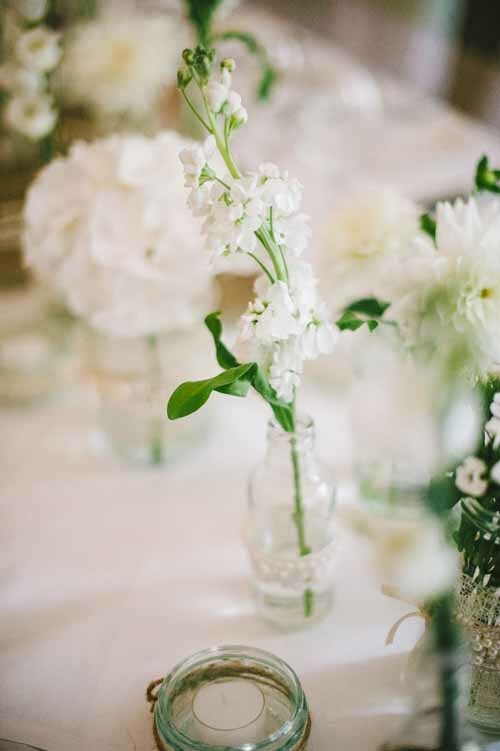 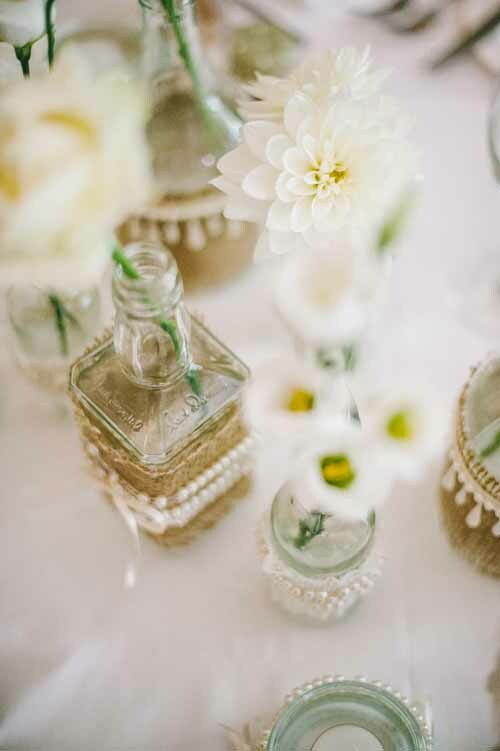 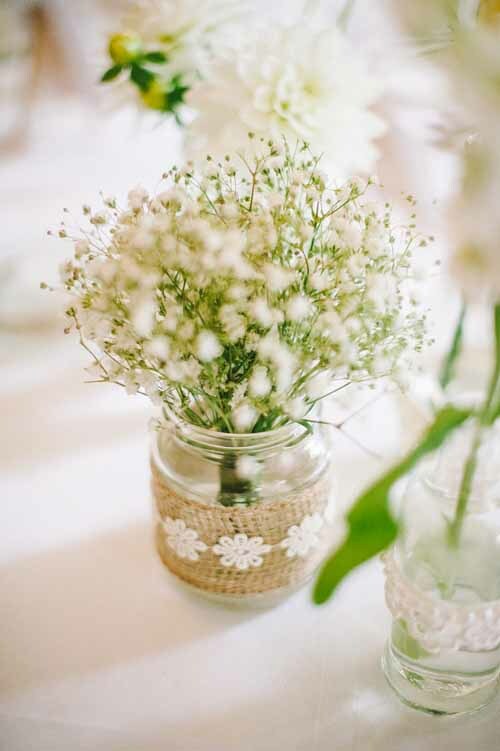 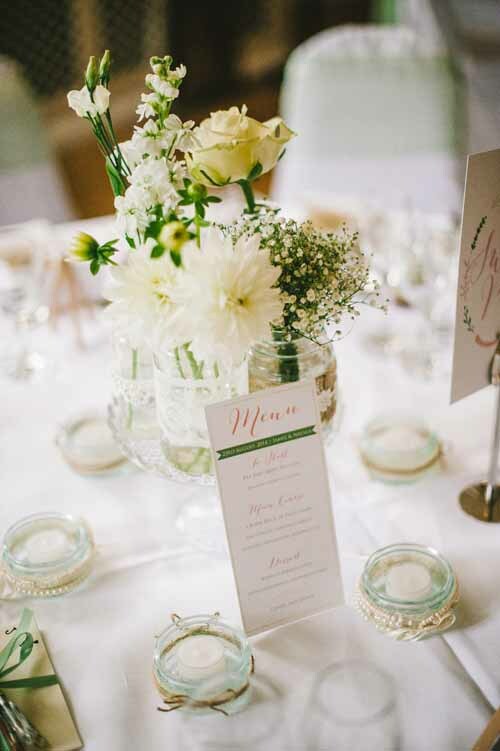 After a traditional ceremony in the lovely Church next door to the Hotel, Natalie & James’ sat down to enjoy their celebrations, where we had dressed the tables with twine, lace & pearl wrapped bottles & jars filled with lots of seasonal blooms including Stocks & Gypsophila.